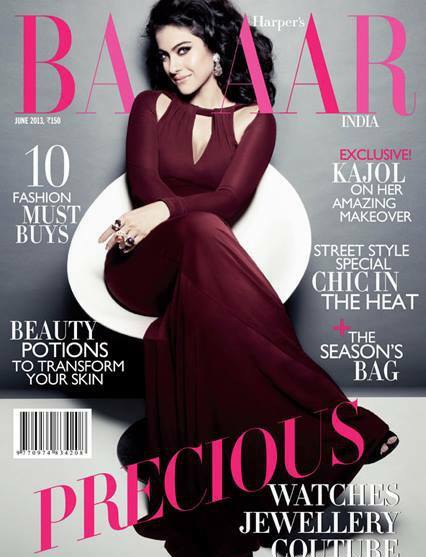 Kajol dressed in a jewel tone Just Cavalli gown and jewelry by Gehna Jewellers, Farah Khan Ali and Sonal's Bijoux on the June cover for Harper's Bazaar India. The Superstar will be dishing details on her new avatar and I can't wait to read what she has to say. Kajol in a Nikhil Thampi gown, Bvlgari watch and Farah Khan Ali jewelry.